Some sailors claim that the inflatable boat has killed the traditional rowing sailing tender. I don’t think so. I think that it was the development of small, lightweight and reliable outboard engines that ended the reign of the rowing dinghy. For sailors, the journey is the destination. Once the anchor is down, a hard dinghy is certainly a delight to row or sail while you explore an anchorage, both of which they do well, at least until they are loaded up. However, due to their size and speed, their range is very limited, and even with a small outboard they only move along at displacement speed. With its lighter weight and increased capacity and speed, on the other hand, the inflatable dinghy has developed to fill a different role. For cruisers, the dinghy is the family car, and if you have an inflatable one, it can also be a sports car, minivan or ATV: a load-carrying workhorse and a platform to launch an expedition of exploration beyond your mothership. Not only is it much easier to hop in your inflatable and scoot a mile into town for dinner, you can also quickly bag those plans and dash back to your boat if it looks like rain, or you can easily run 5 miles to the back side of an island to find a secluded shelling spot. An inflatable is stable to enter from the water, so you can head out to the reefs and anchor the dinghy and snorkel for hours. Bottom line: an inflatable opens up all kinds of activities and destinations not available in a hard rowing dinghy. With that in mind, finding the right dinghy for your purposes begins with an assessment of your cruising style. There are four primary factors to consider, and each factor influences the others. 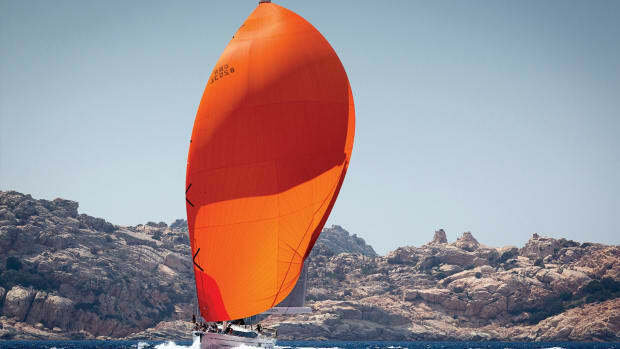 The decision process is very much a design spiral, and your dinghy criteria will go through said spiral several times before you find the best solution for your own needs.  The first thing to assess when looking to purchase a dinghy is how you plan on using it. What distance and speed do you need? How much weight of gear and people do you plan to transport? 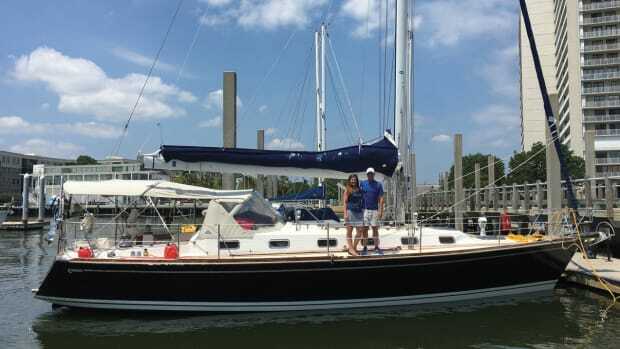 Bigger dinghies and bigger engines weigh and cost more. This decision affects the budget and storage. Another thing to consider is how the dinghy is going carried, deployed and retrieved. 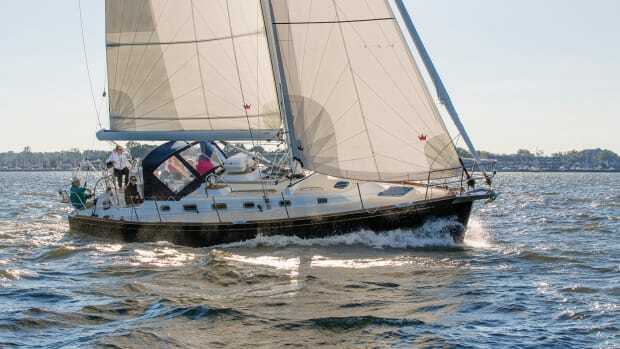 Options include deflating and rolling it up, carrying it inflated on the foredeck, strapping on its side on the transom, carrying it in a set of davits or simply towing it astern. Depending on your particular needs and abilities, stowage possibilities will influence the length, weight and horsepower you can accommodate onboard. This, in turn, will affect your budget and how large of a tender you can fit. Another thing to keep in mind is how often you plan to use your dinghy. Will you use it seasonally or year round? A PVC dinghy, for example, is less expensive and weighs less. 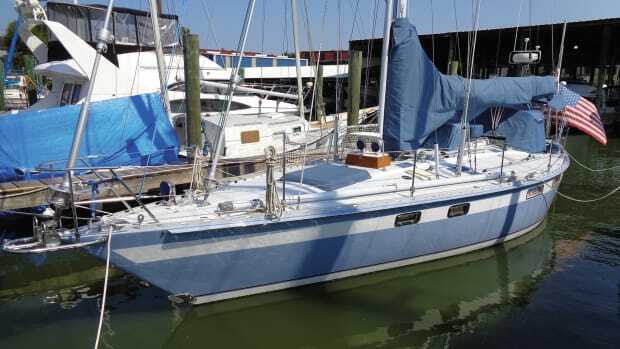 However, it is not nearly as durable as Hypalon and will wear down faster if left unattended on the foredeck in, say, the hot Caribbean sun. Based on your answers to these questions, the type and size of dinghy and the form of propulsion you choose can vary greatly. You may choose to power it with oars, an electric motor, a small outboard or a large one. Of course, your budget will also affect the mission and storage. Of the four criteria, solving the storage issue is probably the most important. A dinghy that is hard to launch is seldom used. A nice set of davits makes lunching and retrieving the boat easy, but davits will also make it harder to get on and off your boat in a slip. 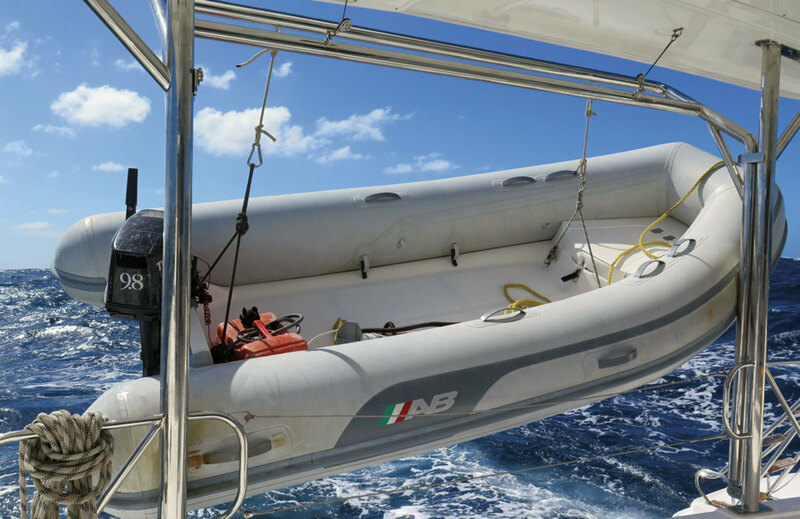 Storing a dinghy on the foredeck is inexpensive and generally out of the way, but it requires that you remove the outboard each time you retrieve it, and it can be very hard to launch or retrieve in a heavy blow or rough seas. On a positive note, an inflatable dinghy tows much more easily than a hard dinghy, so if you are used to towing a dinghy, you will appreciate the ease of towing an inflatable. If you are using your boat seasonally, a PVC fabric inflatable has several advantages over Hypalon. Specifically, it is less expensive and lighter weight, and it holds air better and is easier to fold and store for the off season. However, if your primary use is in the tropics and you live aboard, then you will definitely want to opt for the heavier and more UV stable Hypalon fabric. 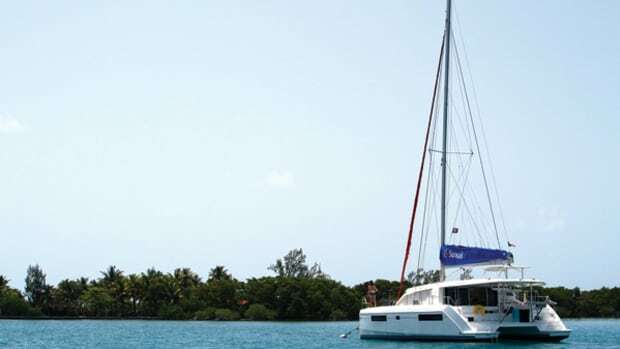 A common mistake cruisers make is to buy the dinghy they think they will need five or 10 years from now in the Bahamas, instead of the dinghy that will suit their current sailing needs. If your boat lives in a marina slip where it receives only seasonal use daysailing and weekend cruising, a PVC dinghy with a plywood or air floor, stored on the foredeck or towed, can be a good solution. For extended cruising with lots of anchorages in the tropics, a Hypalon RIB dinghy on davits will be a better solution. Beyond that , the diameter of the tubes is very, very, important. Generally speaking, dinghy tubes range between 16in and 19in, with a larger tube diameter providing an appreciable dryer ride. A 10.5ftinflatable with 16in tubes, for example, is a much wetter ride than a 9.5ft dinghy with 19in tubes. That said, for seasonal sailors with only short-term cruising in mind, a 9.5ft dinghy is light and easy to store. However, for long-term cruising, you will want to get the longest dinghy you can handle on your boat. Can you save money buying a used inflatable? Sure, but often a used inflatable is for sale because it has problems. The advertisement may say, “It holds air,” but that description is missing one import piece of information—how long? Only buy a used dinghy after you have had a chance to check its ability to hold air for a week, not just for an overnight. Once you select your dinghy, there are many ways to set it up for your use and convenience. One thing you should consider is equipping your dinghy with two painters. Nearly every dinghy that has ever broken free from a boat had a failed painter. I have yet to see a lost dinghy with two painters, and if you are going to tow your dinghy, having two painters is essential. If you mount your dinghy on a davit, having strong straps is key. There are any number of stories about cruisers losing their dinghies due to davit failure in rough weather. In each case, it seems that the dinghies had not been strapped diagonally. Diagonal straps keep the dinghy from moving side to side in a seaway, which in combination with secure lashings make it so that the dinghy cannot sway. 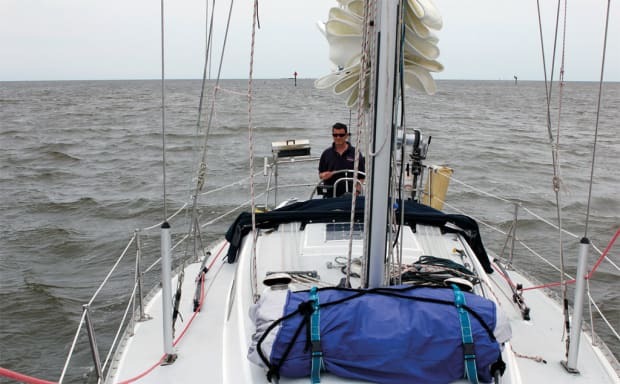 This is what allows some cruisers to cross oceans with a dinghy on davits while others have had their davits fail in the course of a single afternoon sail. It is also essential to leave the drain open when your dinghy is on the davits, because if the dinghy fills with water from rain or spray it can cause the davits to collapse as well. 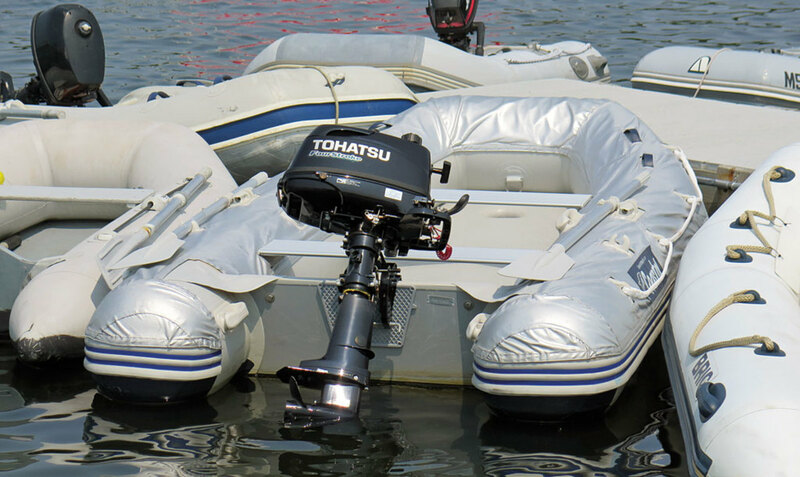 Due to an inflatable dinghy’s relatively flat bottom and lightweight, most inflatables will plane easily under outboard power, the exception being the smaller dinghies with slats for a floor. For an evening harbor cruise and a run to shore for dinner, you will not need a big outboard, and never forget that smaller outboards are lighter and easier to store. In my own experience, I’ve found that the extremely lightweight 2.5hp to 3.5hp air-cooled outboards currently on the market are quite loud. A water-cooled engine is quieter, while a four-stroke is quieter still compared to a two-stroke. (Four-stroke engines also pollute a lot less!) For more extensive expeditions, on the other hand, you will want an engine that will plane the dinghy and thereby allow you to cover greater distances. A 9.9hp weighs about 90lb, and will plane two people in a 10ft inflatable. 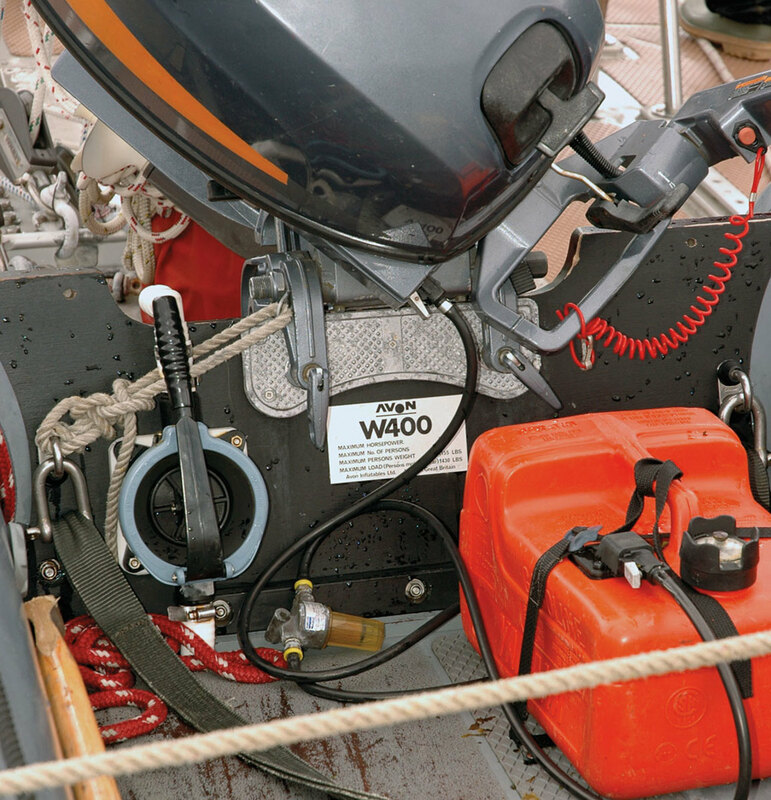 While the primary concerns for most sailors are that their dinghy engine simply starts, there are several outboard engine adjustments that can also make your dinghy handle better, run faster and more efficiently. The first involves setting up the engine at the correct height on the transom so that the anti-ventilation plate (cavitation plate) is in line with the bottom surface of the dinghy, or maybe up to an inch below. Often the engine needs to be raised and inch or two, which can be done by fastening a piece of hardwood to the top of the transom. By having less of the drive in the water your dinghy will not only run faster but run in shallower water without hitting bottom. The other very simple adjustment sailors often overlook is the trim adjustment. If the engine is trimmed or angled out, the boat will run faster and dryer, but will have a harder time getting on plane. Trim the engine in, and it will get on plane more easily. However, it will run more bow down, resulting in a wetter ride. Most cruisers figure out very quickly that storing oars on top of the tubes is a pain. With that in mind, one of the first upgrades you may want to do is to glue additional D-rings inside the boat so that you can secure them there. That said, modern outboards have become so reliable that having oars for back up propulsion is simply not necessary. Indeed, for most cruisers, the most common use for an oar is as a push-pole to shove the dinghy off the beach. Unfortunately, if you’re an example of one of these cruisers, you also know that an oar sinks into the sand quite easily making it an inefficient pusher. A simple solution to this problem is a dedicated push pole made of ¾in PVC pipe with a wine cork in each end. A 6ft pole with markings at 1ft increments is also a handy depth gage if you are approaching a beach in murky water, such as we commonly encounter on the Chesapeake. The other important tool for managing ethanol is having a transparent in-line filter, like a tempered glass West Marine Clear View Filter since it will allow you to see if and when your fuel starts going bad. The first indication that ethanol fuel is going bad is that it becomes cloudy. Fuel passing through a filter also runs more slower than fuel in the line, which will allow any suspended water particles to drop out. Beyond that, it is important to use your outboard frequently over the sailing season. Equipment that is used regularly runs reliably and you want to burn up the fuel to keep the fuel tank fresh. Life jackets: In my cruising, I have found that running around in the dinghy apparently makes me much more visible to the local marine law enforcement than the main boat. We keep two life jackets and a waterproof copy of our registration in a small sail bag under the seat in the dinghy at all times. Anchor: For the first five years that we cruised with an inflatable, each time we landed at a beach we would carry the dinghy up the beach above the tide line. Eventually, we had an epiphany and bought an anchor. Now we simply approach the beach and toss out the anchor. A small claw anchor will hang on the transom, out of the way. Navigation lights: If you cruise in Florida and are in the dinghy after dark you there is a pretty good chance that you will be stopped if you do not display navigation lights. The navigation rules specify that if your dinghy can run faster than 7 knots you must have red and green sidelights and an all-round white light. If your dinghy cannot plane, then a flashlight is all that is required under the navigation rules, but in Florida, you would not want to be caught operating with just a flash light, so almost everyone has an all-round white light for nighttime travel in the dinghy. Before heading out make sure that you check the legal requirements for your local cruising grounds. Air pumps: It is not necessary to carry an air pump in the dinghy (unless you bought that used one.) However, if your storage solution involves deflating the dinghy and rolling it up each time you go sailing, a low-pressure high volume 12 volt inflator pump can be mighty handy. 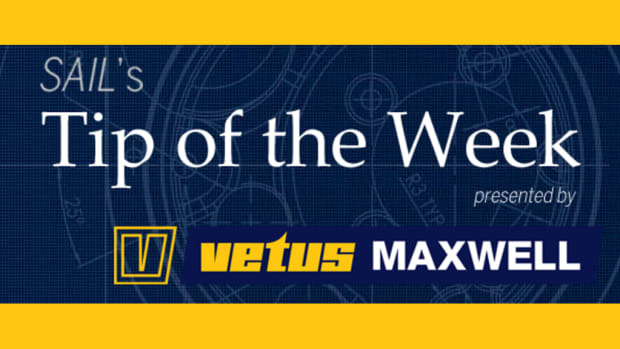 If you have a high-pressure air floor you will want to have a low-volume, high-pressure pump. I found that even with an athletic 14-year-old son, a foot pump was not adequate to get the air floor fully inflated. For a high-pressure air floor dinghy, you will appreciate a two-speed electric pump. Odds and ends: Other gear you might want to carry when you are off exploring includes a dry bag with bug spray, a multitool, spare engine lanyard and a hand held VHF always comes in handy. Tube covers: Finally, canvas covering for the tubes, also known as chaps, are important if your dinghy is used year-round, especially in the tropics. In fact, chaps offer several advantages. First, they provide UV protection to the fabric. Second, they provide a first line of defense against slits and punctures. Unfortunately, it is fairly common to accidentally put a hole in the top of the tube as the crew steps out onto the dock and the dinghy rubs against the pilings or gets under the dock. In fact, over the years I think I have seen more holes above the rub rail than below the rail. Some chaps have straps and buckles to hold a pair of oars inside the dinghy, while chaps with several mesh pockets will give you places to store things like the anchor line, a second painter, bug spray and sunscreen. While traditional dinghies may continue to provide therapeutic exercise during an afternoon row through the mooring field or as a sailing tender, the inflatable dinghy provides an entirely different kind of utility, enhancing the traditional role of the dinghy as basic transportation to shore, by extending the capabilities and range. With an inflatable, you can go further, explore new places and have new experiences not possible with a rowing tender. Your journey continues even after the anchor is down. 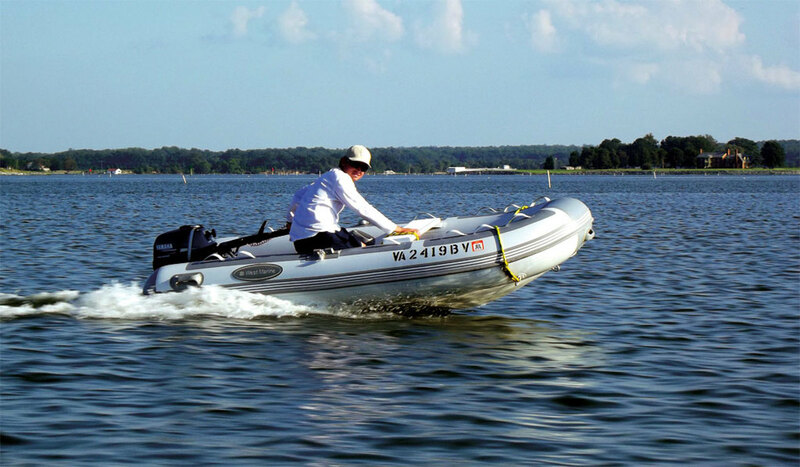 There are two fabric choices used in inflatable boats. Both have excellent performance and durability. PVC coated polyurethane cloth is lighter weight and more flexible. It is good fabric if you are cruising seasonally or if you store your boat deflated. PVC fabric can be heat welded, and heat welded seams are virtually leak proof. PVC tenders hold air exceptionally well. Neoprene coated nylon fabric, Hypalon, is heavier and all the seams must be hand glued. This is the material to use if you are using the dinghy full time in the tropics. Regardless of the coating material used, manufacturers use different weight cloth as the base of the fabric. Fabric weight is often measured by its “denier.” Fabric with a higher denier is a heavier base fabric. A 500 denier fabric has less than half the woven material of 1,100 denier fabric. Not all boat manufacturers use this scale, some use desitex and other materials that make it hard to compare fabric between various brands. The staff at an experienced inflatable boat shop can help you make the comparison between brands. Higher denier means stronger fabric. The lowest priced inflatables have unsupported fabric. They have no cloth in the fabric and are merely heavier weight pool toys. Although they are inexpensive, you get what you pay for. Don’t be put off by stories of PVC dinghy problems from 20 years ago. Early PVC dinghies had some notable glue failures. Most PVC dinghies are now heat welded. Glue failures are pretty much a thing of the past. 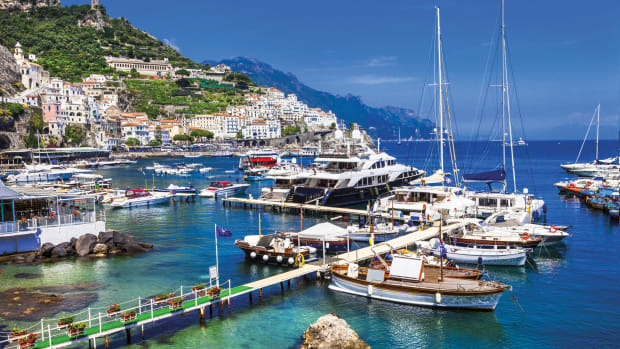 Today’s PVC dinghies can be the right choice for seasonal cruisers in the Pacific Northwest, Great Lakes, mid-Atlantic and New England. As with any tool or equipment, if you take care of it, it will last longer and work better. The same is true of inflatables. It is important to always keep the boat fully inflated when you’re not stowing it. You are not going to pop it if you put too much air in it. The tubes are an integral part of the structure of the boat, and if the tubes are underinflated, other parts of the structure may be over stressed. In a properly inflated dinghy, your thumb should be able to push the tube in about n. If you can push it much more than that it is underinflated and needs more air. Just like anything else made of fabric and used in the harsh marine environment, cleaning and protecting your inflatable is key. There are many vinyl and plastic protective solutions sold in automotive stores, but my experience is these are snake oil Several of the most well-known automotive “vinyl protectants” have silicones in them. If you apply it to the tubes, just a single coat, the tube will forever be unrepairable as the glue will not stick to the fabric. Use only inflatable boat protectant products. If your dinghy is kept in the water for long periods, use bottom paint. If barnacles are allowed to attach and grow, they can break off when the dinghy is beached and create pinholes. Almost any bottom paint can be used; you do not need any special “inflatable boat” bottom paint. Where and how you land your inflatable takes a little more attention than with a hard dinghy. A nail sticking out of a dock piling can ruin your whole day, so yes, it is important to approach landings with a critical eye out for projections from above or below. When you tie up your dinghy, plan for any predicted wind shifts so that it does not swing into something sharp. If there is room and you are not blocking others from landing you may tie it diagonally across the inner edge of the dock so that the boat cannot swing into something. However, make sure you are aware of the traffic coming in and out of the dock, as no one wants to be “that guy” at the dinghy dock.